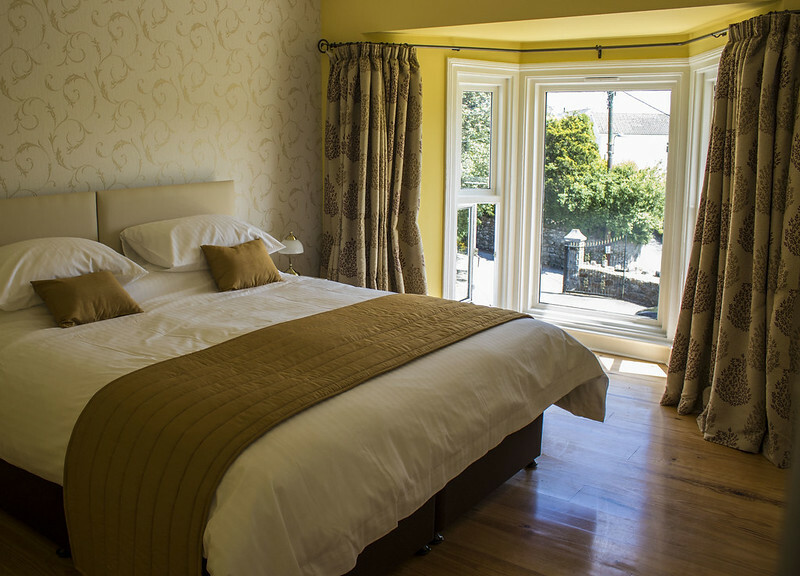 At The Grange we offer everything you need to have a stress free break in the wonderful South Wales countryside. 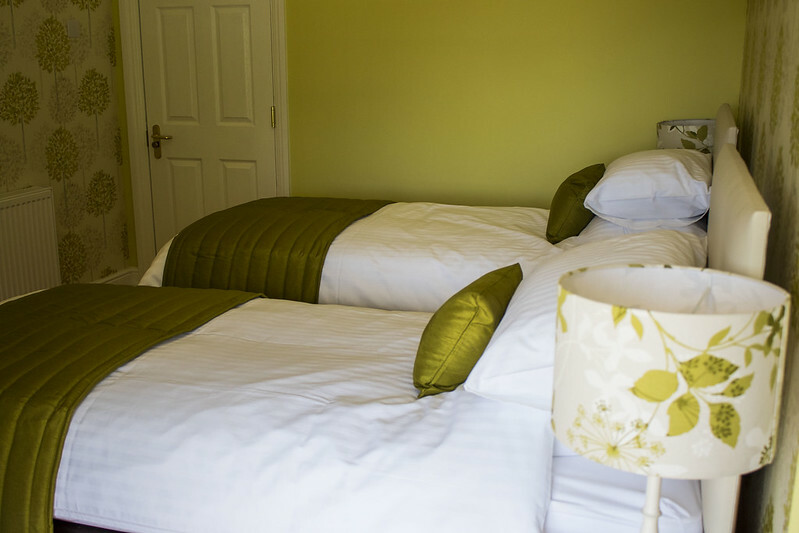 To have a great holiday you need a great night’s sleep and all of our luxurious rooms are just the thing to wind down after a long day on the bike or exploring the local area. 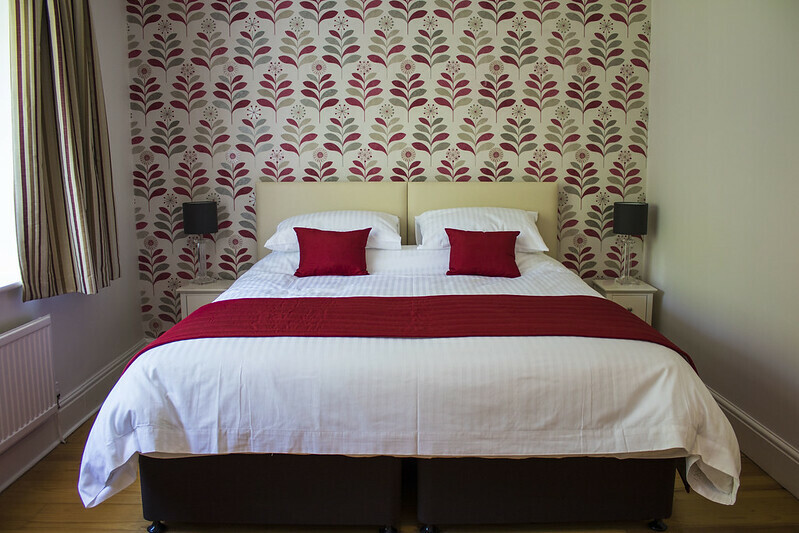 All of our rooms have super comfortable Hypnos beds, en-suites, Panasonic 32″ flat-screen TVs. Fast, free wi-fi is available throughout the house. The quoted rates are per-room per-night and include our fabulous breakfasts. 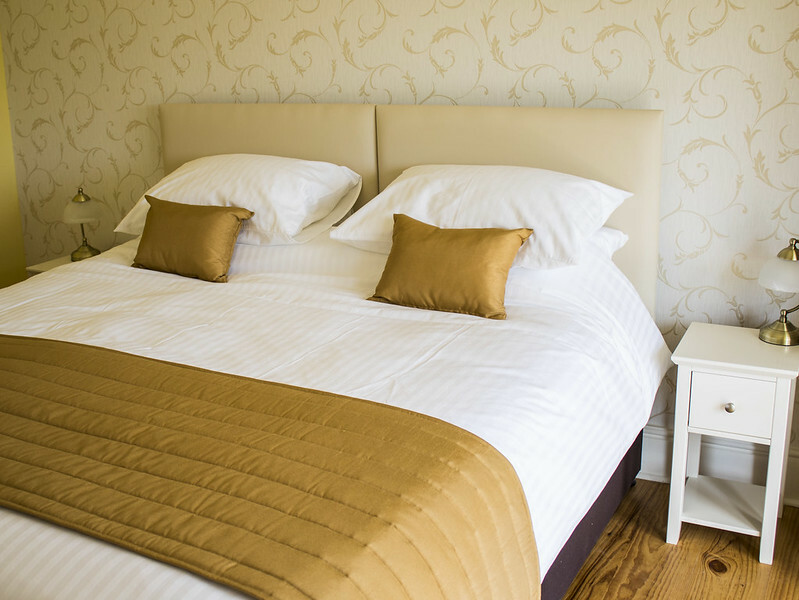 All rooms are serviced daily and we live at The Grange, so there is always someone on-hand to deal with any issues and to help you with local advice to get the most out of your stay. 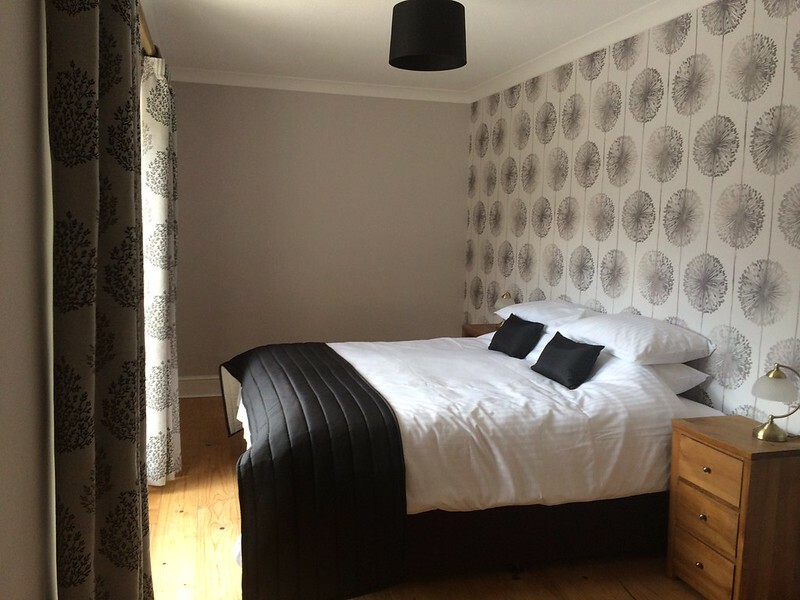 You can hire the whole house, sleeping 10-12 people from £45 per person per night (based on two sharing, single occupancy is £65 per person per night), inclusive of breakfast. Fantastic value if you’re a cycling team or a group of friends that want a chilled out place to get together for the weekend. Please contact us directly so that we can help put together a package for you. 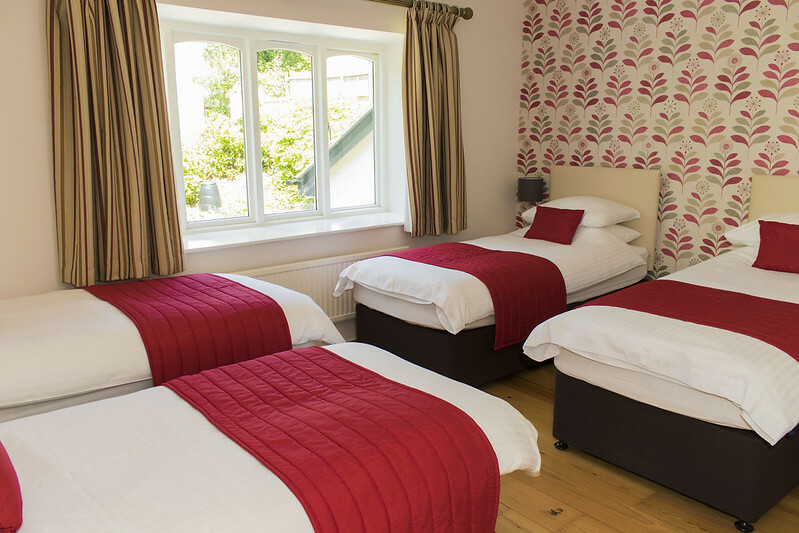 Our biggest room is perfect for couples & families. The room is huge so you can relax in space as a couple or as a 3rd and even 4th bed for families. 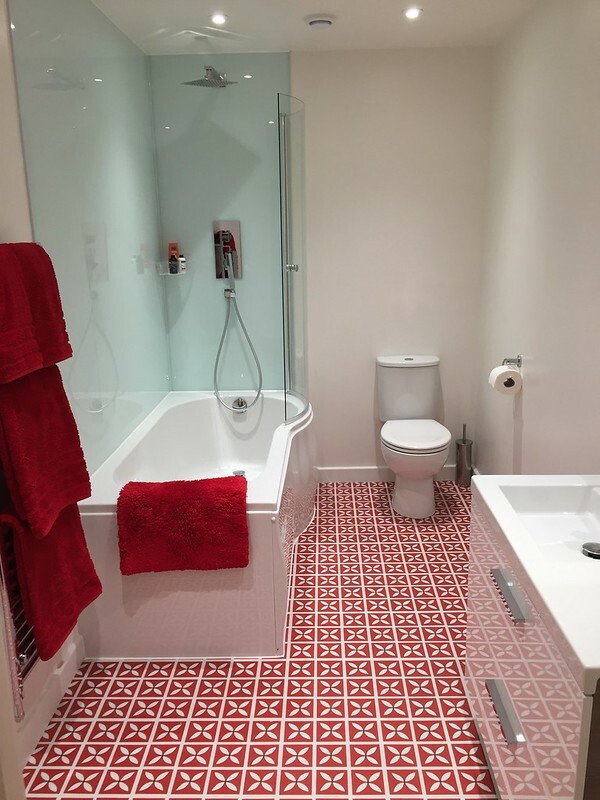 The massive en-suite has a big bath & shower making it perfect for families. 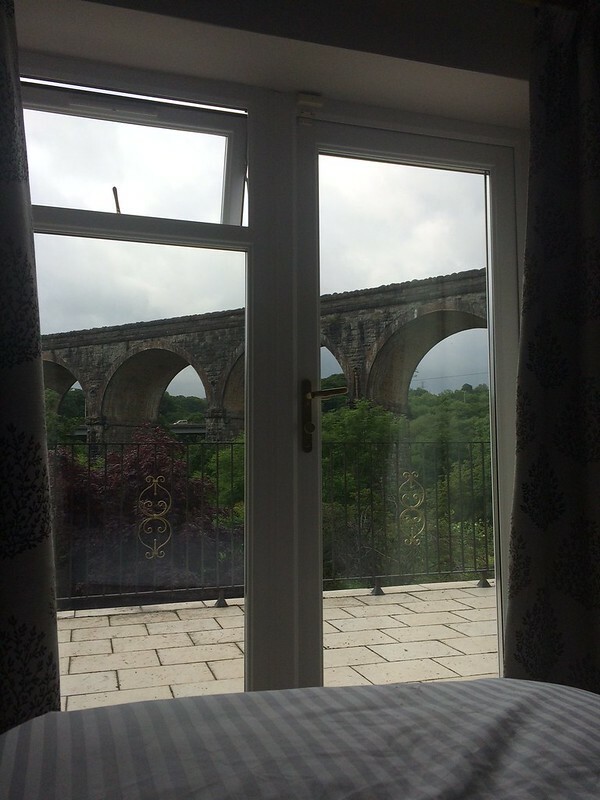 A room with a view which features a stunning view out over the Cefn-Coed viaduct. 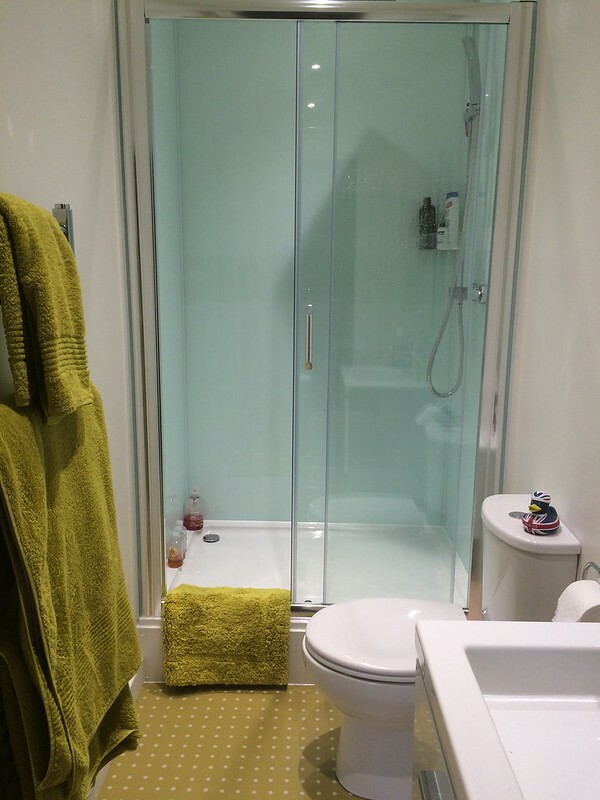 The en-suite bathroom has a huge shower. 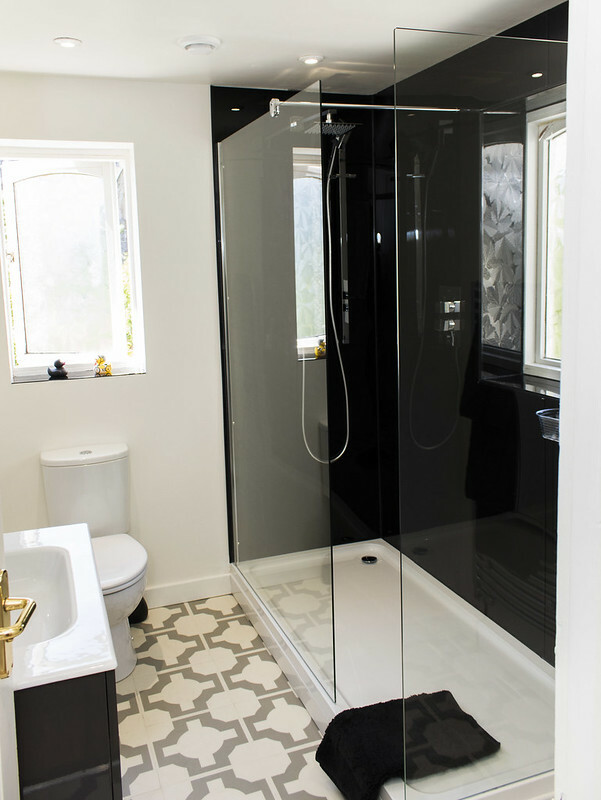 A spacious room with fabulous natural light from the huge bay window, the en-suite features a huge roll-top bath and separate shower to help you relax. 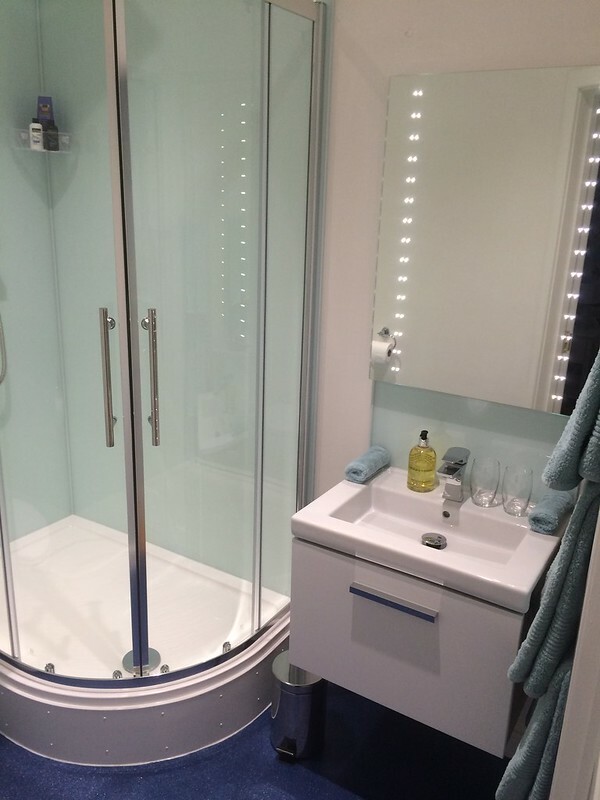 Another bright airy room featuring a floor to ceiling bay window and a newly added en-suite with a huge shower. If you’re travelling for business, this room is ideal as it has a large dresser / desk you can work at. 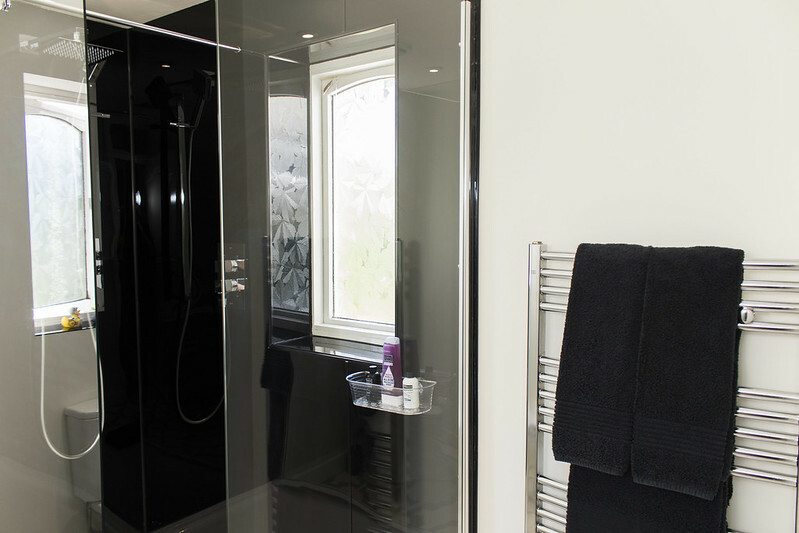 Our smallest room – yet still very comfortable and big enough for two as a twin, featuring a newly added en-suite bathroom. 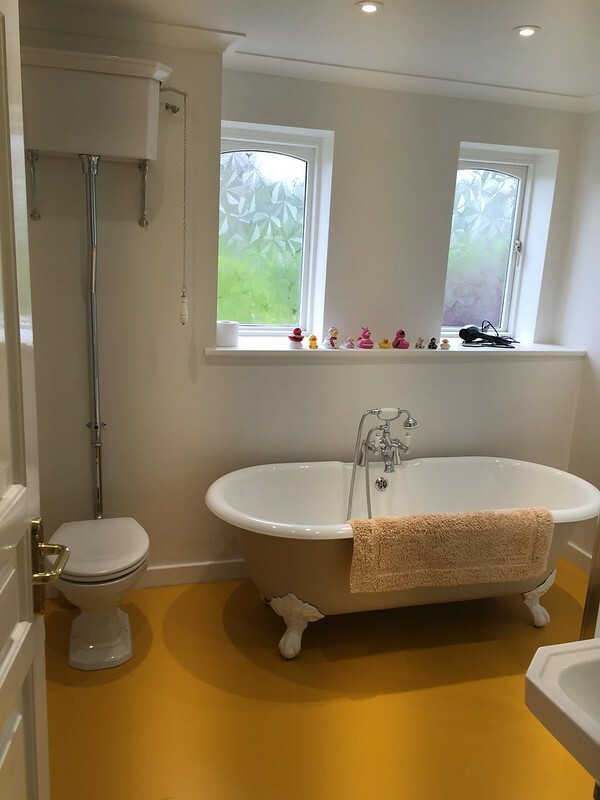 Why are your rooms colour themed? There are 5 colours in the iconic cycling World Champion’s “Rainbow Jersey” so we’ve subtly decorated each room around them. 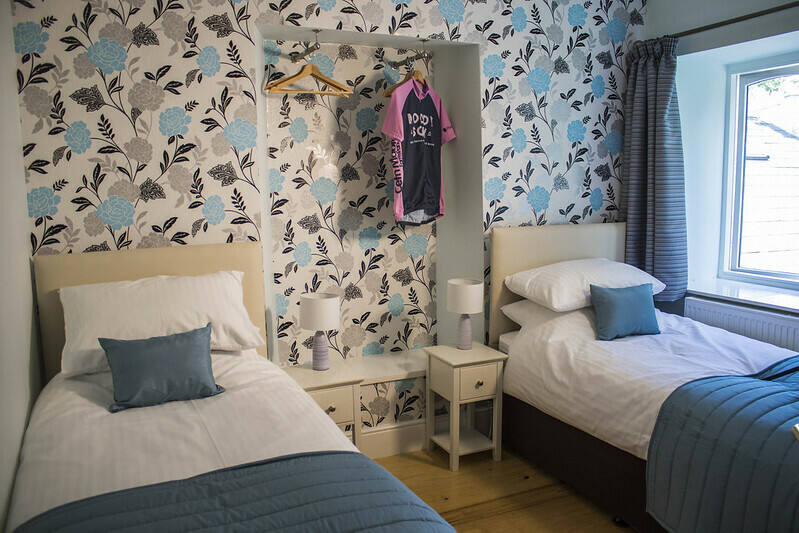 Additionally, if you’re cycling with us then your room colour shows you to your room’s area in our secure bike store. 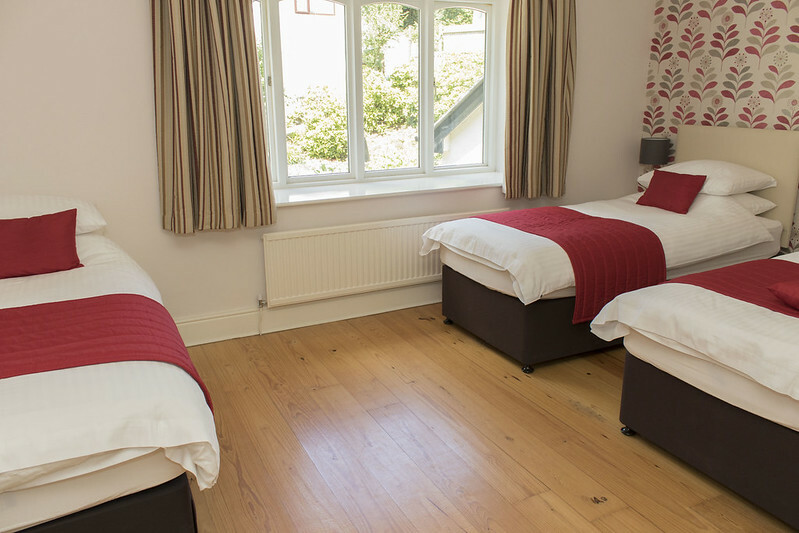 Each room has 4 bike racks available, with additional space available by prior arrangement.